One of the effects of 3D printing is that you can find design of just about anything (mostly hardware) you want to build on the internet and rapidly prototype it – no hassles. This was what happended with the Liberator back last year, most guns printed this way ended up not shooting at all. At least one large company came out with a working gun – Solid Concept 1911 – that was Solid Concept just flexing their muscle, they sell some of the best 3D equipment in the market. There have been reports of 3D printing being used in medical operations with the most recent one being from Netherlands. This involved the printing of a cranium to save a 22-year old Dutch lady. The patient who remains unnamed suffered from a chronic bone condition resulting in her skull’s growth to 5 cm thickness. This had led to severe headaches and would have compromised critical brain functions. If unchecked, the bone growth would have killed her. Surgeons usually replace parts of the skull but replacing so much as in this case comes with a lot of risk. The operation was performed at the University Medical Center in Utrecht where the cranium was moulded from plastic. 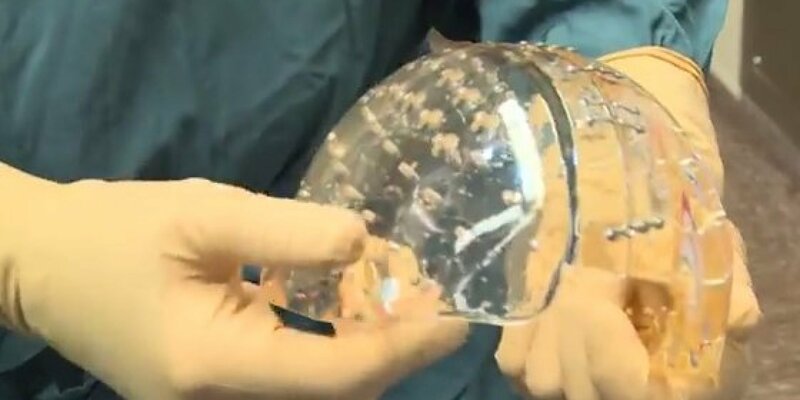 Surgeons at the instititution collaborated with Anatomics, an Australian 3D printing outfit who followed CT scans to print out a modified copy of the patient’s skull. The acrylic skull was then fitted onto the patient’s head in a 23-hour operation. Three months later, the patient shows no visible scarring and the body seems to have responded well to the operation. There’s a video detailing the operation on Youtube, though its narrated in Dutch. A more or less similar operation was reported by the BBC where a Welsh man received facial reconstruction for injuries suffered during a motorbike accident. This included 3D printing for parts of his skull, nose and cheekbones.